After putting around two months total of research, I came up with my first build. The PSU and HDD where bought from Centrecom, the rest was bought from CPL. All prices are in AUD. Processor: I went with an i3 8100, it performs almost the same to a 7th gen i5 but is much cheaper in price. Great CPU for the price. I would recommend it if you need something cheap with good performance. 9/10. Motherboard: Didn't take a lot of time to pick out a Mobo, all I can say is it has everything I needed, it's cheap, has good upgradability (Eg: M.2 slot) and it performs and looks good. 8/10. Memory: Didn't take long to pick this out either, 8GB is enough. All Ram sticks are almost the exact same in performance but in my eyes, Kingston Ram looks super clean. 9/10. 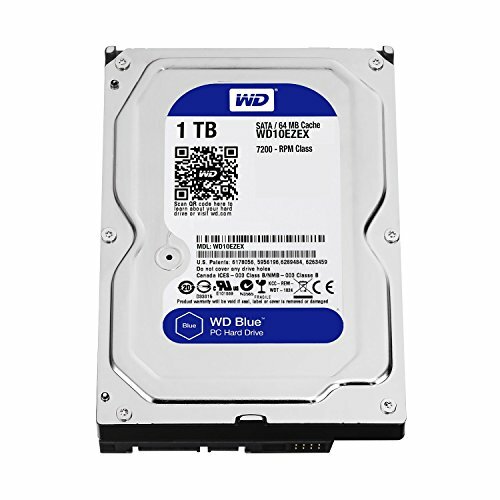 Storage: I picked up a standard WD Blue 1TB. Good speed considering it's a HDD, I've had no issues/problems with it so far. 9/10. Graphics Card: I probably put the most research into the GPU as it's the part that provides most of the Gaming performance. Although red isn't my favourite color, MSI has absolutely smashed it with their Gaming X 1050 Ti 4GB. Great performance, stays cool (the highest temp I've seen is 72°C), looks cool and is super quite under load (fans turn off on idle). 9/10. Case: Strait up amazing, great cable room, no sharp edges, beautiful design and has a full tempered glass side panel all for $60. Would 100% buy again. 10/10. Power Supply: I was originally gonna buy the Cooler Master Masterwatt, but the shop didn't have it in stock. The one I ended up buying is almost the same but has RGB. All I can say is great work on this PSU Thermaltake :D. 9/10. I have the temperatures of parts in the temps section, check them out if you're interested. I have not overclocked any parts in this build. Amazing for the price. Stays quite cool under load with stock fan cooler as well. Would recommend this if you need something cheap with good performance. Has everything you'd need, and it's cheap. All Ram sticks are almost the exact same in performance. But Kingston Ram looks so clean. I would give it six stars if I could. Fast for a HDD. Nothing I can say but it performs well. While I don't like red as a color, MSI absolutely smashed it with their 1050 Ti Gaming X. Looks cool, stays cool and is super quite under load. Fans turn off on idle so that makes it even better. I would give it 6 stars if I could. Nothing to say other than this performs great, and the RGB is a nice addition. 5 Stars. MEMORY: Works great and best looking non-RGB ram you can buy in my opinion. 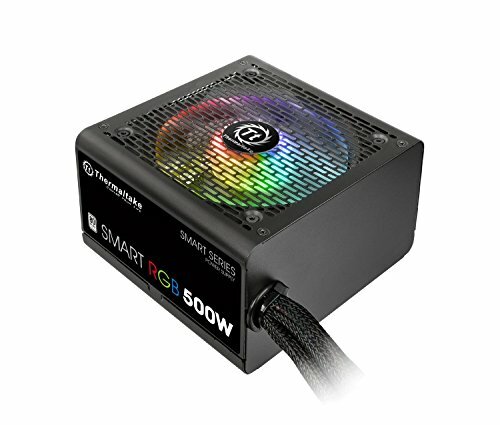 PSU: Great PSU with nice RGB coloring, 500w is enough and 80+ rating is great. Stays cool as well. Are you pro or anti RGB? Either way this build looks pretty cool and has a nice price to performance ratio. Haha, I can sorta agree on that. Thanks for the comment and feedback :). Why a 1050ti? You could pick up an rx 570 for $200 AUD and get a 240Gb SSD as a boot drive and game storage with the money saved. Rx 570's also outperform 1050 ti's. Not the biggest fans of AMD GPU's as there are differences... I love there processors, and would consider one in the future. good point about the RX 670 though. Yeah... lol... Actually Works very well, never goes above 70 degrees, I now have two monitors, one plugged into my GPU for gaming and the second one into my CPU using the intergrated graphics, still works amazing and averages 60 - 65 degrees temp.